Indonesia markets itself as the ultimate in diversity and the slogan is quite true, although not necessarily always in good ways. Indonesia's tropical forests are the second-largest in the world after Brazil and are being logged and cut down at the same alarming speed. While the rich shop and party in Jakarta and Bali, after decades of economic mismanagement, 53% of the population earns less than US$2 a day. Infrastructure in much of the country remains rudimentary, and travelers off the beaten track (pretty much anywhere outside Bali) will need some patience and flexibility. The Indonesian people, like many people, can be either friendly or rude to foreigners. Most of the time, though, they are incredibly friendly to foreigners. Bali has something to offer a very broad market of visitors from young back-packers right through to the super-rich. 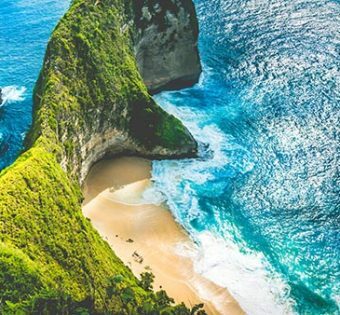 With world-class surfing and diving, a large number of cultural, historical and archaeological attractions, and an enormous range of accommodations, Bali holidays are some of the world's most popular and one which consistently wins travel awards for island destinations.